1.How many tattoos do you have? 2. What's your favourite tattoo you have? 3. How old were you when you got your first tattoo & what was it? 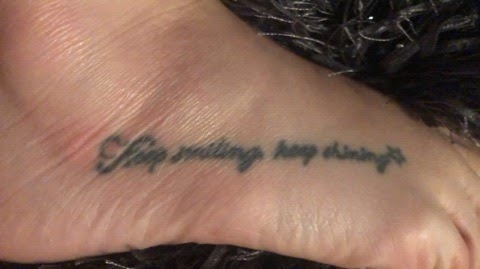 On my 18th birthday, my best friend Caitlyn & got 'keep smiling, keep shining' on our foot as that is our song. This was way before bridesmaids came out may I add! It has slightly faded which can be expected with this placement as it is constantly rubbing on shoes and slippers etc. 4. What do your parents think about your tattoo? It's my body so tbh I don't think they can tell me what to do at 25! All of them can be hidden so also they can't say anything. Plus on their 50th birthday trip they got their first tattoos! 5. Does your boyfriend like your tattoos, if so what's his favourite? Again, my body my rules! When I first met Sam I didn't have any. Tattoos are all personal preference and just because he doesn't have any doesn't mean we can't be together. If your partner can't love you just because some tats you need a new one! 6. Did you always have a love for tattoos and what was your inspiration? I always knew I wanted a tattoo just because I thought they looked cool when I was younger but I don't think I had any inspiration! 7. Do you plan on getting more tattoos in the future? I always say after the last one that that is my last! But I want 'love you' in my mum & dad's writing on my hip and my gran's name in her writing somewhere. 8. Which tattoo would you say was the most painful? People who say tattoos aren't sore are big liars! All of mines were pretty painful as I got them all on pretty boney areas. If I had to pick it would probably be one going down my side close to my back as that was over maybe 4 ribs. It is 1243 in roman numerals which was my gumps last marathon number before he passed. Sorry it is so hard to get a pic of your back when noone is home! 9. Do you regret any of your tattoo's and why? Nope! They all are a part of me or who I was at that time! 10. What was your least painful tattoo? Again all mines were painful! 11. Do you worry about pregnancy with a stomach tattoo? 12. 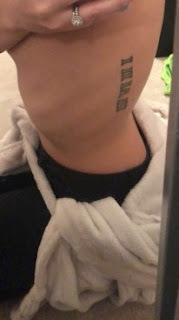 How did you get inspiration/ideas for each tattoo? All of mines do! 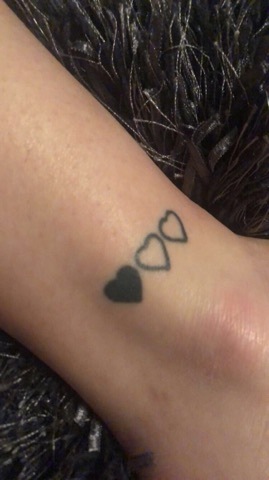 So I will do it in order I got them if I can remember the right order..
6th - 'three little hearts with the first one coloured in' my siblings have this one to and we all have one coloured in for the age we are. 14. What made you decide to get heavily tattooed? I am not heavily tattooed and I probably won't ever be. All my tattoos are quite small - medium so some times people are actually surprised to hear I have tattoos. 15. If you could start again would you pick completely different tattoos or do anything differently? If I was to do anything - I'd probably have went somewhere that was better recommended for my first ones rather than the local place. 16. Have you had any problems with getting a job with tattoos? Nope! This could be due to the fact any mines can be hidden. I wouldn't want to work anywhere that still discriminated based on tattoos. 17. What after care do you use? Bepanthen mainly afterwards and clean with antibac soap. I don't do anything now though as my last one is almost a year old. 18. Do you hate your tattoos sometimes? Nope! & it kind of defeats the point of having them? 19. Where do you get your tattoos done? 20. Where wouldn’t you get tattooed? 100% my face. Why does everyone do this now? Do you enjoy looking like a soundcloud rapper? Really this a true question! I would rather look like poop than lil xan! 21. 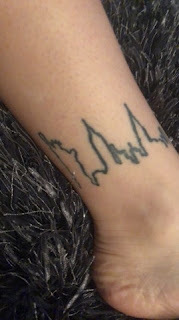 What’s your most recent tattoo? 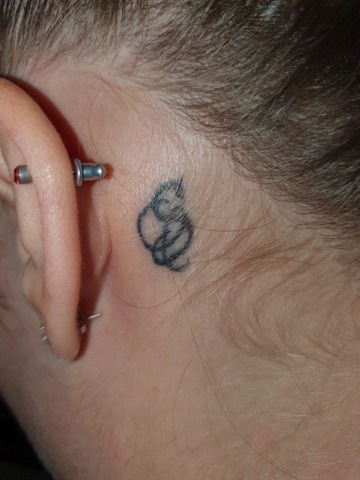 I got my S tattoo done October 2018 and my hearts a few weeks later! Hopefully I'll be back into the swing of things ASAP but unfortunately my studying has to take priority now so all my apologies! One thing Hubby & I love doing is going for little over night stays so we always check things like wowcher and itison for good deals. 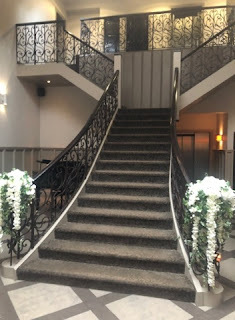 Knowing this, my mum got same and itison deal for an overnight including prosecco on arrival, 2 course dinner and breakfast at the Dumfries Arms in Cumnock so I thought I'd share my thoughts on it. Guys this place is so pretty, just look at the staircase omg! I didn't take any pics of the bedroom as Sam was already sprawled over the huge bed. The bed wasn't that comfy to be totally honest but it was ok for a night. The bar was well stocked and done a massive range of cocktails, I was having my fave drumstick ones and Sam was on the French Martinis. 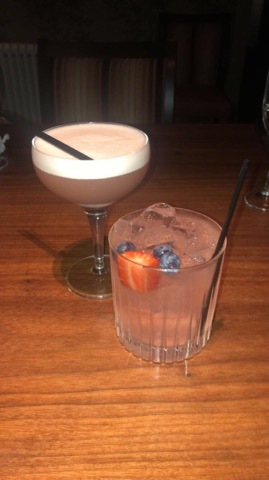 The meal was also amazing, for starters Sam had Haggis, Neeps and Tatties and I had King Prawn Tempura which were scranned so quickly that I wasn't able to catch a pic of that either but the mains mmmm. 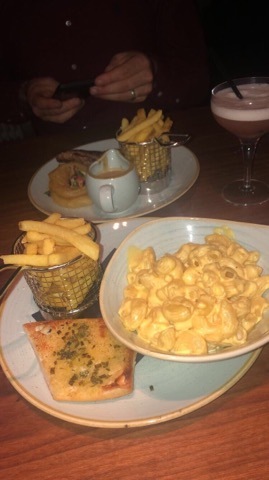 I had mac and cheese that came with a side of garlic bread and chips. & Sam had steak and chips - a three pound supplement which isn't bad at all. This was some of the best mac and cheese I've ever had and I'm still thinking about. I don't know about you but I never really expect great things for the meal that comes with an over night stay but I honestly would go back just for the food. This was such a good deal guys that I honestly am looking to get the voucher all over again and have got it for my brother in law's birthday. 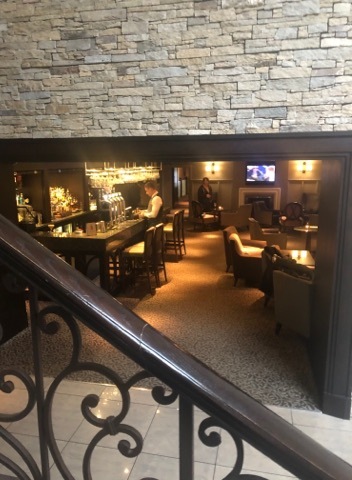 The staff were so kind and so attentive and the whole hotel was stunning and so clean! Is there anywhere in Scotland you have visited for a night away that I should check out? Hi loves, sorry again that the posts were lacking last week but I'm feeling better now and hopefully back into the swing of this! Today I thought I'd do a little make up wish list of all the things I am currently lusting after. I normally don't get excited or lust about palettes as I have loads but this is so different to anything I own now and I think every single colour is stunning and I love colourful eye looks so I know I would definitely get my use from this palette. I neeeeed it! 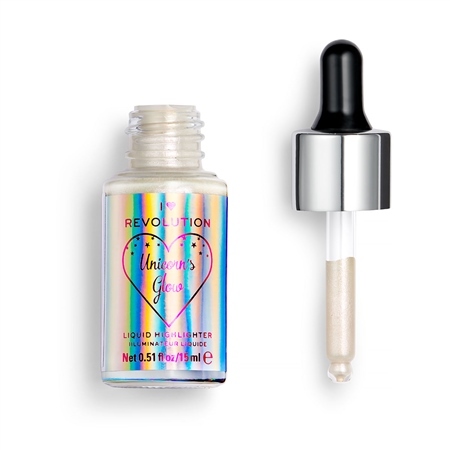 You can get it from Beauty Bay, Cult Beauty and others for £46. 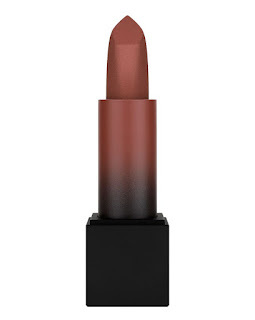 I've quite a few Huda Beauty products, I love the eyeshadows and the liquid lips are fab too however I am dying to try one of the matte bullets as I've heard such good things about them. I love the colour 'Graduation Day' I think it would look good on all skin tones and really work as a 'your lips but better' shade for me! 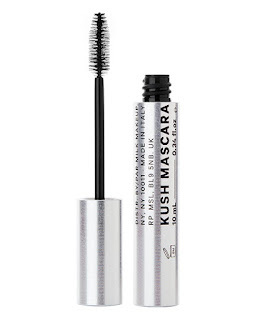 Unless you have been living under a rock you have probably heard of this KUSH High Volume Mascara from Milk Make up that is rocking the beauty community. Firstly as it contains hemp-derived cannabis oil and secondly for how amazing it works. 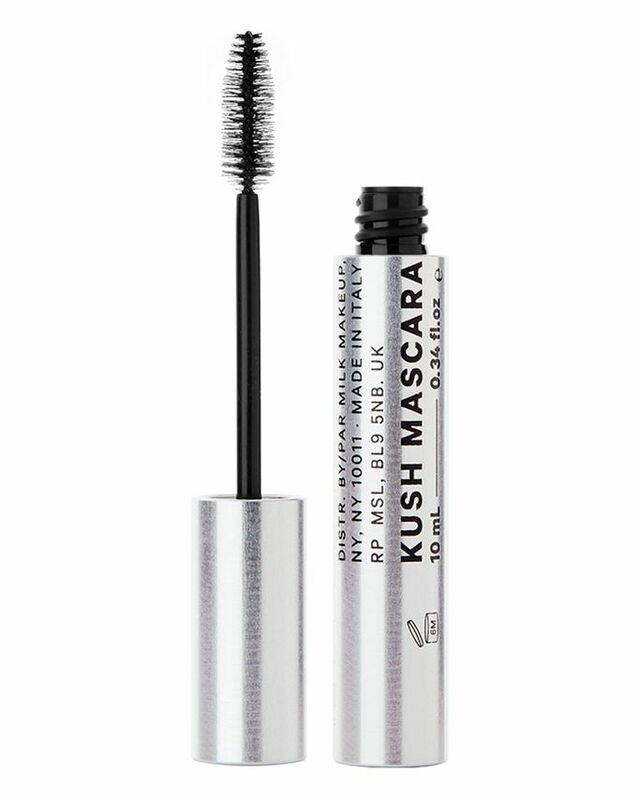 I have read so many reviews on this and the difference really is amazing! I'm dying to try it for myself and see how it works for me! 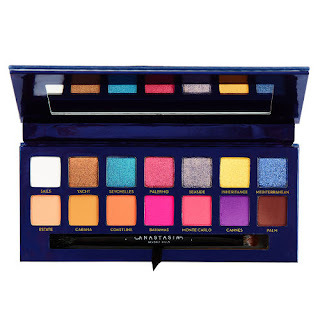 Make Up Revolution - we all know about them! Dupes galore and how the get away with some of it really baffles me but I'm not complaining! I tend to stay away from things called 'unicorn' or 'mermaid' or 'magic' because I hate all that gimmicky stuff, I'm an adult I don't want to feel like I'm using my 5 year old nieces play stuff! However I love highlighting drops -whether they are going straight onto my face for a banging glow or mixing it in with foundation for a glow. These look so good and for £6 how can you refuse! So that is what I'm lusting after right now? Do you have any of the products and can recommend them? Or is there something else I should check out? Sorry for the little lull in posts this past few days guys, I've been bed bound with a chest infection and unable to post at all. I'm coming back with something I used to love posting - book reviews. Starting with my new fave from my favourite author since I was obsessed with Jacqueline Wilson! 'Imagine you meet a man, spend seven glorious days together, and fall in love. And it’s mutual: you’ve never been so certain of anything. Your friends tell you to forget him, but you know they're wrong: something must have happened; there must be a reason for his silence. What do you do when you finally discover you're right? That there is a reason – and that reason is the one thing you didn't share with each other? 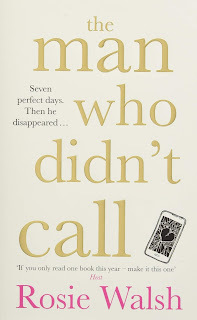 I have been obsessed with Rosie Walsh's work since I first read Passionate Love Affair With a Total Stranger which she wrote under Lucy Robinson. You can read the review I done on this all the way back in 2014 here. Sarah Mackey is originally a small town girl who is big in town after moving to LA. In the mist of a divorce and some family turmoil, she stumbles upon Eddie David in a field near Sarah's parents house. They spent an amazing week together - both claiming love and promising to stay together and make this work when Eddie returns from his holiday and before Sarah returns to LA. Then something weird happens.. Eddie vanishes completely. No calls, texts, messages or anything were answered and even after a desperate plea for information on his facebook page only increases Sarah's obession with finding Eddie as his friends are also looking for him. Her obsession with finding Eddie begins to even effect her best friends Jo & Tommy who at first tell Sarah to forget about him but after mysterious phone calls they also grow concerned. I wish I could say more guys I really do but I don't want to spoil anything. There is so so many unexpected twists, I actually gasped out loud. I'm normally good at guessing these things and didn't guess one small thing but the others were unbelievable! A few times I did feel like Sarah's friend Jo and was getting a bit ticked off with her, I wanted to shake her and say 'YOU ARE ACTING MENTAL'. I'm not saying it because I'm a huge fan but I have mad respect for Rosie Walsh also, she always takes time out to reply to us on twitter and did even when she wrote under Lucy Robinson. It means a lot when someone you admire appreciates you! All I can say is you have to try this book for yourself. It is a mix of romcom/chic lit and thriller all in one. Sometimes you do want to slap Sarah silly but you will love her and her best friends never the less! I wish I could say more guys but there are too many spoilers! You have to trust me on this! Hey guys, if you read my last post you will have read that my hubby and I went out for Afternoon Tea, I originally wanted to take him to Cranachan in Princes Square in Glasgow as we go to NY Grill right beside it a lot and it looks fab, however they don't take bookings on Saturday's and due to it being for his birthday, we didn't want to risk it. My friend then recommended the Champagne bar in the Grand Central Hotel and as we wanted to drink also, it sounded like a fab idea. We had no trouble booking and everything was looking good! We then arrived and were seated promptly which was nice, asked if we had any dietary requirements and brought our champagne over right away. Then 25 minutes after finishing our drinks and waiting, we tried to find someone to catch so we could enquire about the hold up and get more drinks. No-one was to be seen. 35 minutes later our Afternoon Tea arrived. It had your usual afternoon tea fair, finger sandwiches, scones and cakes. The scones were warm which was a lovely touch. We ordered more drinks when our tea arrived and again we waited about 20 minutes for them. This was so disappointing you guys I can't even describe, for such a nice place everything seemed chaotic. It was slightly busy however everyone who came in had a reservation (we were sat at the door) and I feel like if you are aware of how busy you are going to be then have the right amount of staff one - I get things happen but there were two staff in a busy booked restaurant. We only had two drinks in over an hour and we could have spent a lot of time and money here. I wouldn't recommend coming here I'm afraid as so many places in Glasgow do Afternoon Tea now and it is better a lot of places. Staff - 2/5 - Trying to catch someone when they hear you and still walk past doesn't sit well I'm afraid! Decor - 4/5 - a little dated but lovely. Value - 3/5 - For £30pp you could definitely get better for a better price within walking distance but there was a good amount of items. I honestly am really disappointed I didn't enjoy it here and wish we'd got on better! But I think most people agree that if you are treating your partner to a birthday celebration - hanging around for an age isn't what you are after! 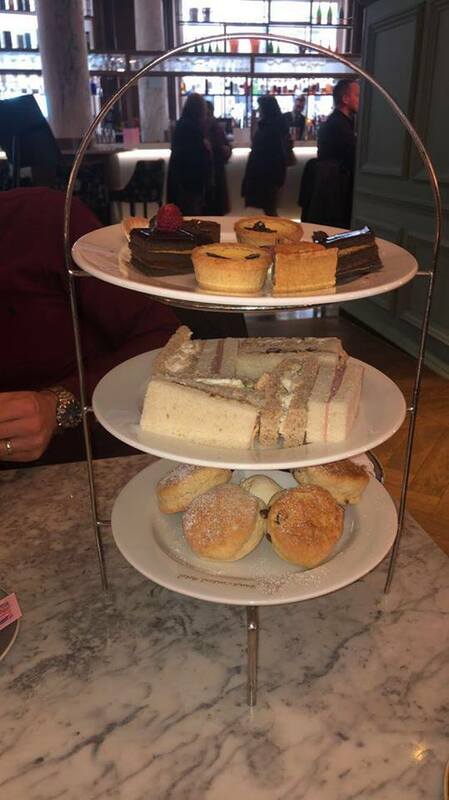 Where is your favourite place to go for afternoon tea if you like it? The other day was my husband's birthday so we done a little date day! The plan was an afternoon tea (post on that soon!) and then a subcrawl, however good old Glasgow decided to treat us with us with its usual form of weather - downpour rain! So when in town a few days before I found this super cute skirt from Miss Selfridge in the sale for £8! Then when I went into Primark I noticed this one shouldered body - the worst tryna put your poppers back after peeing after a few drinks! I then paired it with these Office very high heeled boots that I've had for a year or two and voila! I really loved this look and thing the skirt can be wore dressy or casual and the top can definitely be worn a good few times! I am sorry that the majority of my outfit pics will be mirror pics as I don't think I'm cool enough to pose and ask anyone to take them for me. I wish I could and it be in cute places but I'm a loser! What do you love wearing for date day?